A Legend Lives On in The House of Kalam, Rameshwaram. DAY 1: How to reach, where to stay in Rameshwaram | DAY 2: Ramnathaswamy Temple Darshan, Agni Teertham, Sunset boat ride | DAY 3: Places to see / Teerthas of Rameshwaram: Gandhamadana Parvatham (Rama Padam), Ghost Town: Dhanushkodi, Rama Teertham, Panchmukhi Hanuman Temple, Lakhshman Teertham. EXTRAS: Rameshwaram Food Guide, Sweeping Healers of Rameshwaram Sea. small people make religion a fighting tool. I navigated the narrow bend of the swamp street, walking past peeling walls and jumping through a few puddles, to arrive at my next destination in a cloudy gloomy Rameshwaram. What stood before me was a two storey structure, modest and unassuming in built - red, white and blue in color. There was nothing in the building that could be described as eye catching but in the grace for which it stood for – it was far from ordinary and deeply meaningful. The stairs were steep, just about enough for one person to pass comfortably to get to the first floor of the iconic House No. 2 at Mosque street. 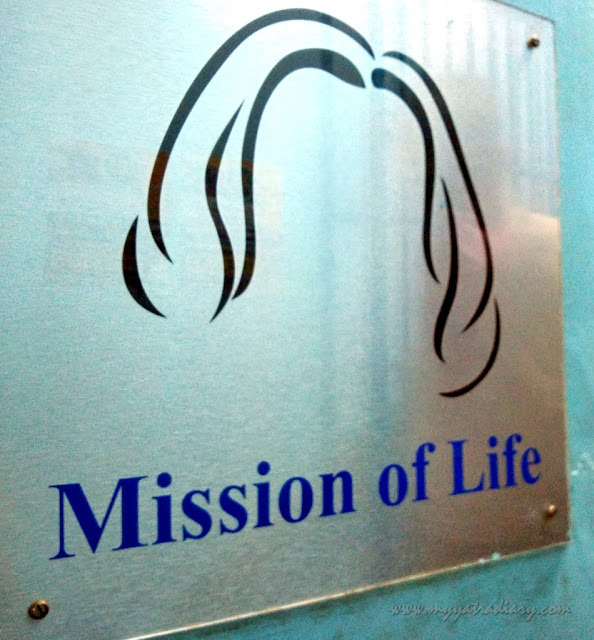 House of Kalam - Mission of Life Gallery. 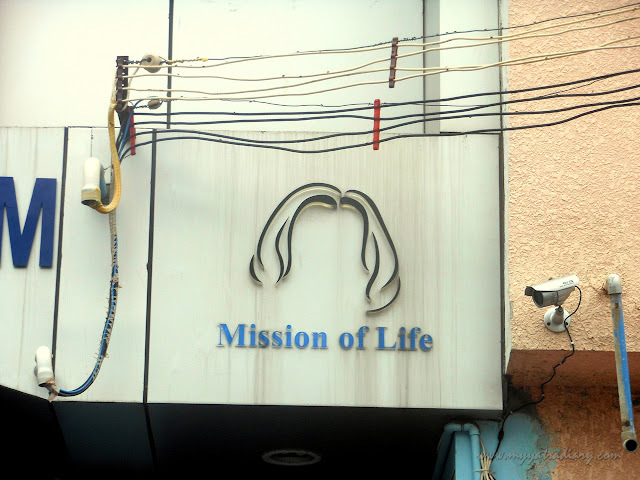 I was on my way to the Avul Pakir Jainulabdeen Abdul Kalam’s house, more popularly known as APJ Abdul Kalam, Mission of Life gallery – a contemporary treasure chest on the first floor in an illustrious yet simple bungalow of a simpler man. Born on 15th October 1931 in Dhanushkodi, Tamil Nadu, APJ Abdul Kalam had humble beginnings as a young boy as a newspaper delivery boy. With dreams in his eyes and sheer will, hard work and unflinching determination in his spirit, He rose to great heights as he manoeuvred his way through the mezzanine of life. An aeronautical engineer, a notable scientist, an inspirational professor, the chancellor of the Indian Institute of Space Science and Technology (IIST) and the 11th President of India - He left an indelible impressionable mark wherever he put his heart in, in ways that were unique not only to him but to the entire world. There's a treasure trove behind these gates! Today, the beloved People’s President is no more amongst us. APJ Abdul Kalam left for his eternal abode from an apparent cardiac arrest on 27 July 2015, aged 83 while delivering a lecture at the Indian Institute of Management Shillong, leaving a void in the hearts of millions who loved him. But it’s here, in the House of Kalam, that we literally see his unconquerable spirit lingering on ... reflecting within the frames of the house, sketched through the brushstrokes of time, revealing his entire life portrait from his Rameshwaram to his Rashtrapati Bhavan days and beyond, on the canvas of the walls. The house had several framed sections displaying huge placards consisting of several pictures of one of the finest human beings to have walked on earth, coupled with his thoughtful anecdotes and quotes that shows how multi faceted he truly was. You see glimpses of his college and childhood days – the locality where he grew and studied; a group photo with friends in the Madras Institute of Technology along with His teen photo on one placard. You see the ‘Missile Man’ shaking hands with Vikram Sarabhai and other stalwart scientists, in moments of pride during the nuclear missile tests and his gigantic contribution to the defence research and developments including ISRO feats, nuclear tests and the launch of the Agni missile, named after the five elements of nature. You see him addressing the youth as passionately as he walks with eminent international personalities; such rare pictorial gems recreating priceless moments from his lifetime – all find a place in the gallery. A section of letters written to him by young children is interesting where children express their love, adoration and admiration in heartfelt touching ways. It was a special bond he shared with the young minds of the country, we know he loved children and they loved him too. The museum is full of memorabilia: ISRO Uniform, world’s first war rocket, number of trophies and awards and achievements including the three most significant ones - the Bharat Ratna (India’s highest civilian honor), The Padma Vibhushan and the Padma Bhushan, and several other prestigious international recognitions, etc. Amidst the nuggets of history are poems like Oceans Meet and Green Tree in my Home - beautiful thoughts that mirror the love that he had for his motherland, native place, nature, culture and religious harmony. There was a lot to see and savour in the house, much of which I don't honestly remember today, but what I do remember is the face of this man - APJ Abdul Kalam beaming everywhere my eyes could see. Fire in his eyes, sincerity oozed out off his demeanour. Like if he could, he would talk to every youth walking in the hall right now, his fist fiercely moving through the jets of air. Through the various pictures, poems, and quotes adorning the walls everywhere the eyes can see, he does. He speaks, his life as an example has something for everyone for all those who choose to listen. In the House of Kalam is the soul of APJ Abdul Kalam... his vision immortal in the endless echoes that reverberate through the walls of time, pulling subtle strings of will in the heart of every youth, leading him to the land of his dreams and motivating him to believe in them, to live a meaningful life, one that is graced by the Almighty on us, and to look only upwards towards the infinitely stretching horizon of the sky. Photography is prohibited inside and somewhere it fits because perhaps what you capture in your heart, you cherish for eternity. I think APJ Abdul Kalam would have loved to have it no other way. My Mother ~ By APJ Abdul Kalam. Dedicated to my mother who lived ninety three years, a woman of love, a woman of kindness and above all a woman of divine nature. My mother performed Namaz five times everyday. During Namaz, my mother always looked angelic. Every time I saw her during Namaz I was inspired and moved. Sleeping on your lap to the envy of my elder brothers and sisters. It was full moon night, my world only you knew Mother!, My Mother! You knew the pain of your child, My Mother. To face the world without fear and with His strength. We will meet again on the great Judgment Day. My Mother! 1. Address: House No. 2 at Mosque Street. It's epic, so if you have any trouble locating, you can ask the locals and they will guide you happily. 2. Souvenir shop: on the second floor sells a variety of locally made souvenirs of sea shells and is managed by his brother. I am so glad you covered the House of Kalam in your Rameshwaram series as now this house is also an important landmark of Rameshwaram besides significance of Rameshwaram as a teertha. The simplicity in life and high morals of President Kalam are visible in the house also. That poem you dedicated to your mom is very emotional. Surely, she's happy to have you. Thanks for sharing. More powers! When I read, "Like if he could, he would talk to every youth walking in the hall right now, his fist fiercely moving through the jets of air." I felt he is still here. Great leaders become immortal by their legendary work. The inspiration and legacy our former president APJ Abdul Kalam has left behind for all of us, especially the youth is so great. I am so delighted to read about his home, inspiration and the poem. His affection for children always amazes me. Every child comes on the earth with a special talent and if allowed to grow with love, the future of the country will be shaped so beautifully. Such a great vision he had! Loved your post yet again, Arti. His poem on his mother told me why he was such a visionary leader who could think about children and two decades' ahead. Great post, Thanks a lot for sharing Arti. Such a beautiful tribute to Dr. Kalam, Arti... one that is unique to your way of writing, and something that he will certainly approve of from Heaven. Nice to know that the house is a monument today. Lucky you are to see such lovely places, Arti! Would like to see this place one day! So , Now This place is also being a place of interest , not as a tourist place but a place of learning , place of inspiration. 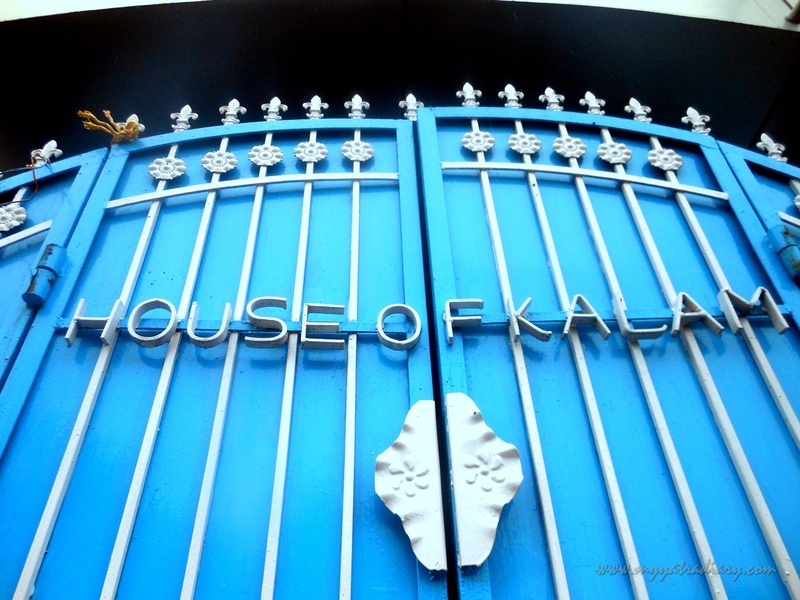 Nice to see that Kalam's house now stands as a testimony to who he was and what he achieved. Hello Arti, I liked your mini history lesson and the tribute to DR Kalam. I always enjoy when you're my tour guide. I come away with more knowledge of your country. We're traveling now toward the ocean and our anniversary celebration. Thanks for the detailed write up.Would like to visit one day. Thank you so much Arti for the post. It was great to know about this place.I really wish to visit this place one day. Your beautiful narration made me totally engrossed. And the poem with which you concluded the post is a gem. There is a lot to see in this city. I checked a couple of links you have shared on the top. Just like Melbourne, I can use this post when I plan to visit Rameshwaram. And how can one miss this place? I was wondering when you would visit Dr. Kalam's house and you did not disappoint. If I ever visit Rameshwaram, I will surely go here. Thanks for sharing this. Simple living of a simple man. Thinking about him is always an inspiration! Though being on many summits, including 1st citizen of Indian, his down to earth attitude is something irreplaceable by anybody… and what he has given isn’t a percent he took for himself. Glad you could visit his home and your write up take me back to the pages from his book wings of fires I read with fascination.